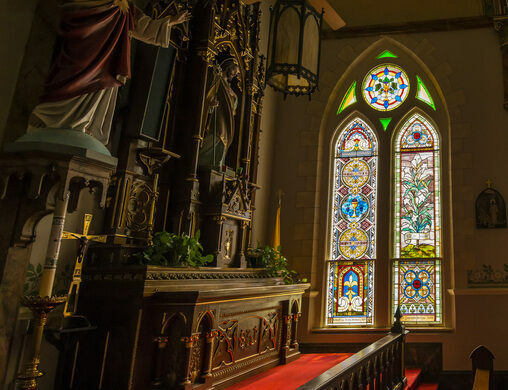 Looking at it from the outside, St. Mary’s Catholic Church seems like any other century-old small town church. But if you take a step inside, you’ll realize that it’s starkly different. 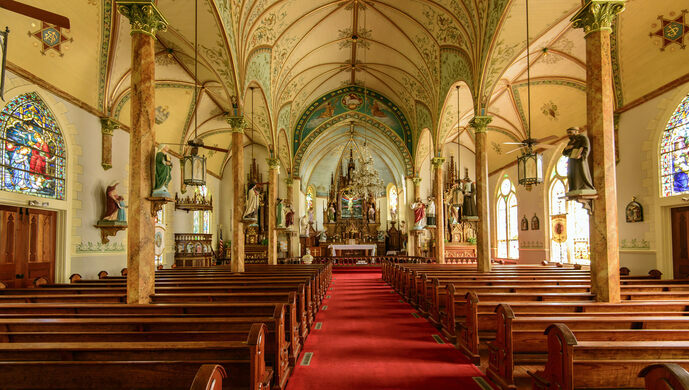 St. Mary’s is one of the twenty “Painted Churches” in western Texas, each built in the 19th century by Czech and German immigrants that came to the state in search of land, opportunity and religious freedom. 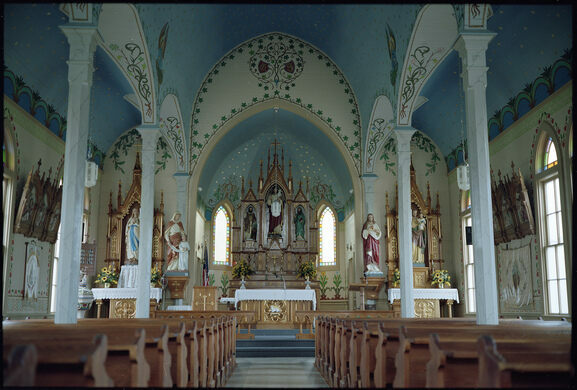 Hoping to preserve their cultural identity, the immigrants built churches in their new communities, intricately decorated in the style of their homelands. 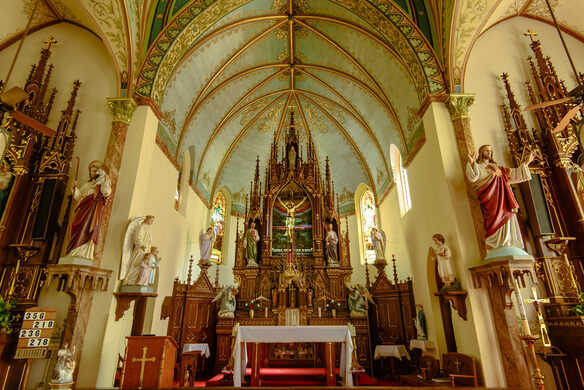 To make the simple wooden structures feel more like the ancient Gothic churches back home, they painted bright, colorful, and intricate patterns all over the walls, ceiling, and altars. 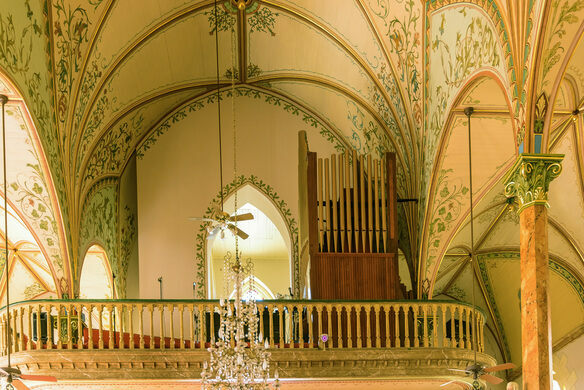 The details were hand-painted using stenciling, marbling and other decorative painting techniques, and many of the inscriptions are written in German and Czech. These houses of worship held immense meaning to the settlers, which is evident in the countless hours of time put into making them so incredibly beautiful. 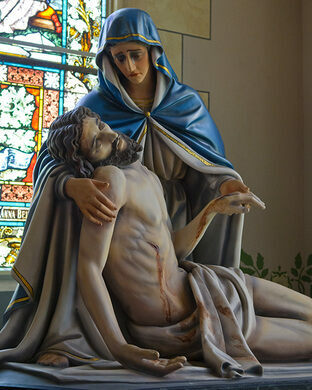 St. Mary’s is considered the most majestic of the churches, dubbed the “Queen of the Painted Churches.” It has color exploding at every corner, from the vibrant German-style stained glass to the delicate artistry of the bright murals and ornate designs painted on the wooden walls. 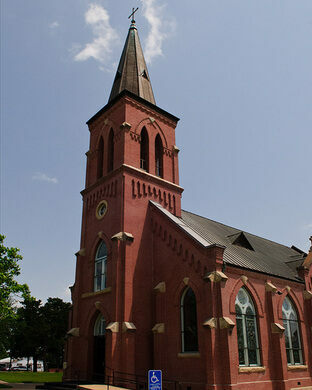 St. Mary’s is located in High Hill, Texas, once a thriving German and Czech community. The immigrants often named their new towns after the ones they left back home. 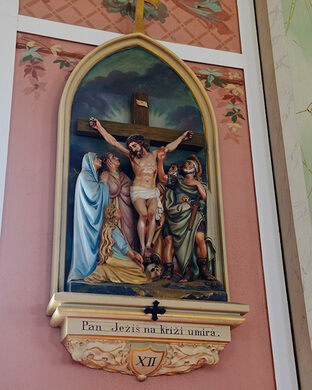 You can find painted churches in the towns of Praha, Schulenburg, Dubina, and Fredericksburg, Texas. All but one of the churches are still active. 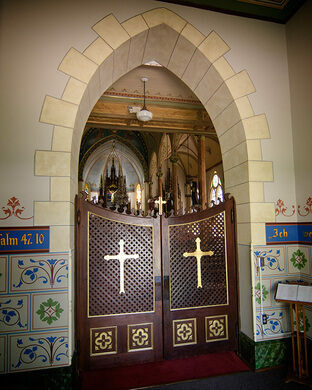 If you visit on Sunday, it is easiest to attend a service or wait until after all of them are done. the town is small and easy to miss, and there are limited food choices for day trippers. A fruit-loving town welcomes visitors with a giant melon set against the sky.